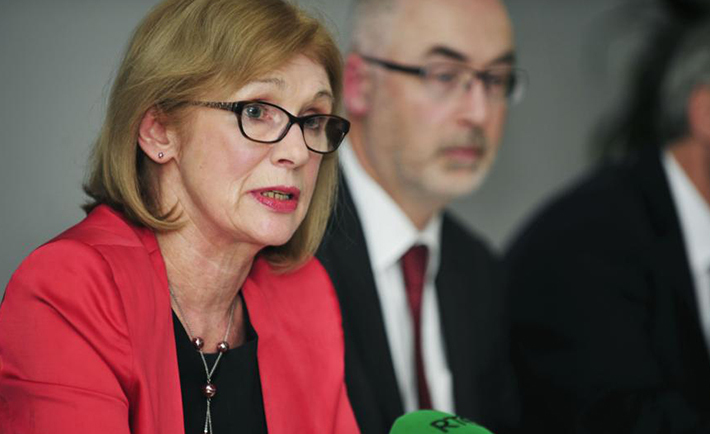 Minister for Education Jan O’Sullivan hopes the Government will not have to impose funding penalties on colleges to force them to rectify gender imbalances in leadership roles. The higher education sector has been in the spotlight lately over the low numbers of women in top academic positions at universities and institutes of technology over the past few months. The minister spoke at an event last week aimed at promoting science, technology, engineering and maths (STEM) careers to girls and acknowledged that academia has been slower than other areas on gender equality, but said there has been real progress. The proportion of female entrants to STEM courses at universities fell from 47% to 40% between 2005 and 2013, despite increased encouragement of girls towards related subjects. Less than a third of senior academic positions in the Ireland’s seven universities and 14 institutes of technologies are held by women. NUIG recently announced a task force on gender equality and the Higher Education Authority (HEA) is considering a review of policies and their implementation at all third-level colleges. NUIG and Trinity College Dublin, where 14% of professors are women, are the worst universities in the HEA figures, followed by UCC (16%). 27% of DCU’s academic are women, which is just behind University of Limerick (UL) with the highest percentage of female academics at 31%.